There are a few particular words on the 365 list that I’ve really struggled with. Overcast has possibly challenged me more than any other. There have been many occasions in the past few months where we’ve set off out on a cloudy day, my excitement building at the thought of being able to capture an Overcast sky. Only for it to suddenly brighten up as soon as we’ve arrived at wherever it was that we were going. There have been a couple of occasions where Mike’s had to explain to me (I’m a non-driver) that passing the perfect scene with clouds arranged wonderfully overhead isn’t enough of an emergency to warrant pulling over on the motorway hard shoulder. There have even been one or two days when I’ve taken pictures of overcast skies that have looked totally different once I’ve loaded them onto the computer, much to my annoyance. I took this picture at the Yorkshire Sculpture Park at the weekend. It was one of the first that I looked at when we arrived home, and I called Mike over to have a look. He knew exactly what I was driving at. Well, having scoured the country, I’m deciding that this picture is the best representation I can find of Overcast. It’ll have to do. 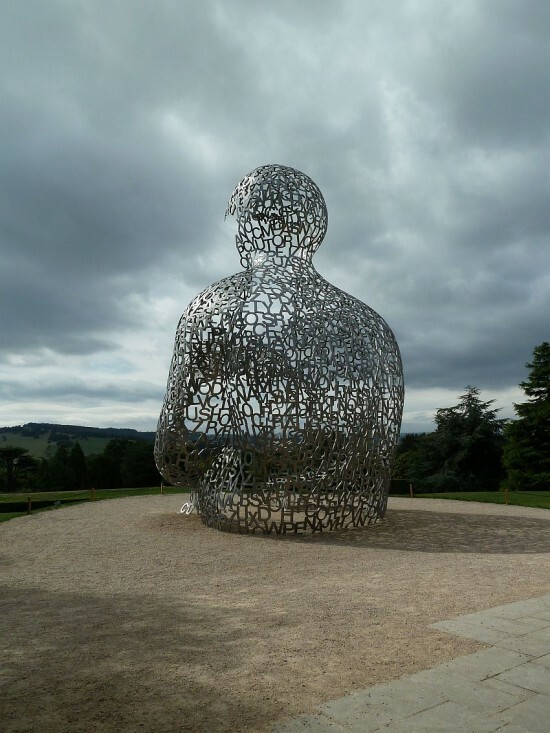 The artwork, by the way, is part of the Jaume Plensa exhibition at the Yorkshire Sculpture Park (more of which another time). Cloudy. Overcast. Whatever. Great presentation of the theme! I like it. Creative. The overcast sky makes a great backdrop for the sculpture. The sculpture is more beautiful with the dark clouds floating around it 🙂 Lovely. Excellent Overcast Day! Love the subject you chose to show off the sky. 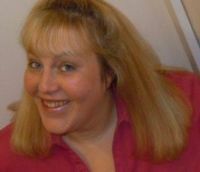 My dh is like your Mike about stopping on a short notice for a perfect pic, lol. When I used to paint, fascinated by cloudscapes, I tried taking pictures of the sky. The pictures never turned out, and I’m no longer painting, but I still love the sky. I’ll vote for overcast here! Love your auxillary subject too, makes a very interesting photo! How interesting! I think it would be really fun to see this in person!